Why would I need self storage in Pomona, CA? There are a variety of reasons why you might need self-storage in Pomona, CA. How much is a storage unit in Pomona, CA? The cheapest storage unit in Pomona, CA is $69.00 per month. What size storage units do you have available in Pomona, CA? In Pomona, CA we have sizes that range from 5'x5' to 10'x25' to suit your storage needs. How much is it for a 5'x5' storage unit in Pomona, CA? The cheapest 5'x5' storage unit in Pomona, CA is $69.00 per month. Pomona is a large city in Los Angeles County, California, nestled in the Pomona Valley. Although the city's population growth slowed in recent years, it's still a popular choice for a diverse mix of families and young people. Pomona is known for hosting several large community events and has a rich arts and culture scene that includes a variety of museums and theaters. The Gabrielino Native American tribe first settled the area now known as Pomona. In the 1800s, the Spaniards and Mexicans brought missions to California and established some small settlements and ranches. It wasn't until the 1870s that the railroad inspired widespread growth here. Real estate speculators mapped out a basic grid for this new city, which attracted a hotel, a general store and other businesses. However, development did not immediately lead to prosperity. The first businesses struggled financially in Pomona, and the developers were forced to auction off land to generate revenue and increase the population. In 1888, Pomona finally incorporated as a city and banned saloons in the area, though efforts to keep the town dry never succeeded. Even when liquor was outlawed altogether, speakeasies opened up in local basements. Pomona faced more challenges in the 1950s, thanks to Interstate 10. The freeway consumed thousands of homes and businesses in the name of progress and drove many residents out of town. Then, in the late 1970s, developers bought up abandoned buildings and started to refurbish them. The fairgrounds became the well-known Fairplex, and the population began to grow again in Pomona. Art galleries and other businesses devoted to the arts opened up, attracting a wide range of residents and visitors. Pomona benefits from its close proximity to LA, with easy access to the big-city amenities. The city has progressed far beyond its agricultural roots, expanding into an economic and commercial hub as well as a comfortable place to live. You'll never lack for entertainment, shopping, dining or other amenities in Pomona. The city is dotted with many convenient features like fitness centers, coffee shops, grocery stores and libraries. You can enjoy the bounty of produce at the city's regular farmers markets, a fond reminder of Pomona's agricultural roots. 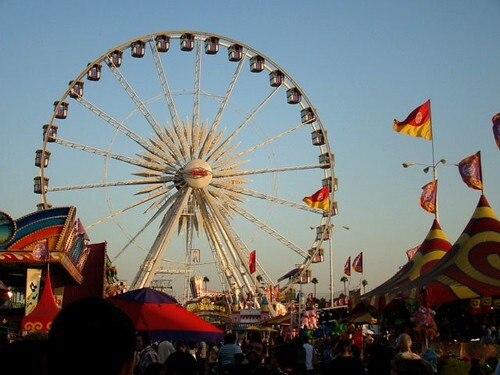 The popular Los Angeles County Fair takes place at the Pomona Fairplex every year and draws hundreds of thousands of people. Additionally, this city often draws artists who perform at the Coachella music festival. The Pomona annual car Show is an iconic part of Southern California culture, bringing in visitors from all over the region. The Pomona Unified School District manages most of the public schools in the city. You also have alternative options in the city's several parochial and private schools, as well as in The School of Arts and Enterprise, a local charter school. California State Polytechnic University, Pomona, is one of the city's largest post-secondary institutions, followed closely by Western University of Health Sciences. Utilities: Southern California Gas and The Gas Co. are the city's central energy providers. The City of Pomona manages residential water services. Garbage and Recycling: Trash, recyclables and green waste are collected on a regular basis throughout Pomona. You can also request bulky item disposal if needed. Transportation: Foothill Transit facilitates a large network of bus routes in and around Pomona. Homes are more affordable in Pomona than in many areas of California, though the median home price is still far higher than the national average. There's plenty of options to choose from, ranging from single-family homes to compact apartments. Our lowest priced units in Pomona, CA average $69.00 per month. 68 people have reserved units in Pomona, CA in the past 30 days. There is 1 location within Pomona, CA's city limits.